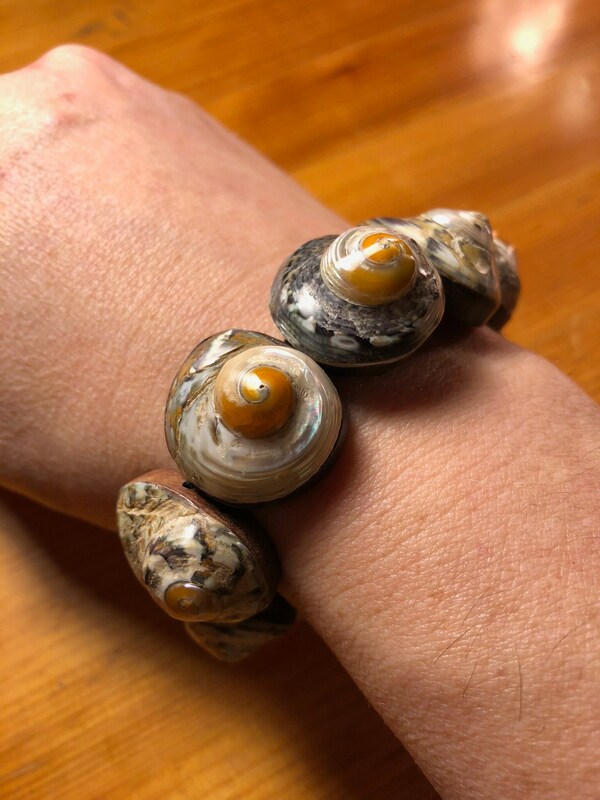 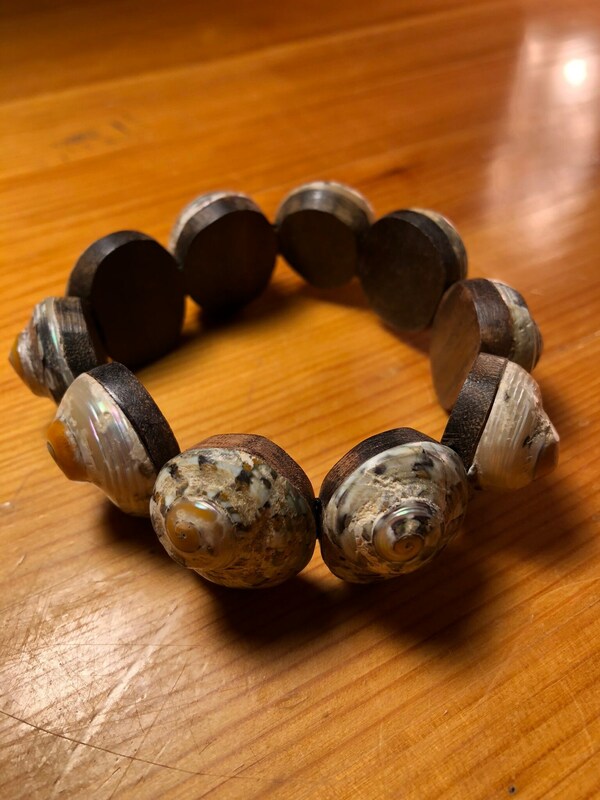 A beautifully handcrafted, comfortable and stylish bracelet made by Indonesian artisans from Sono or Black Rosewood and stunning, pearly, swirls seashells. 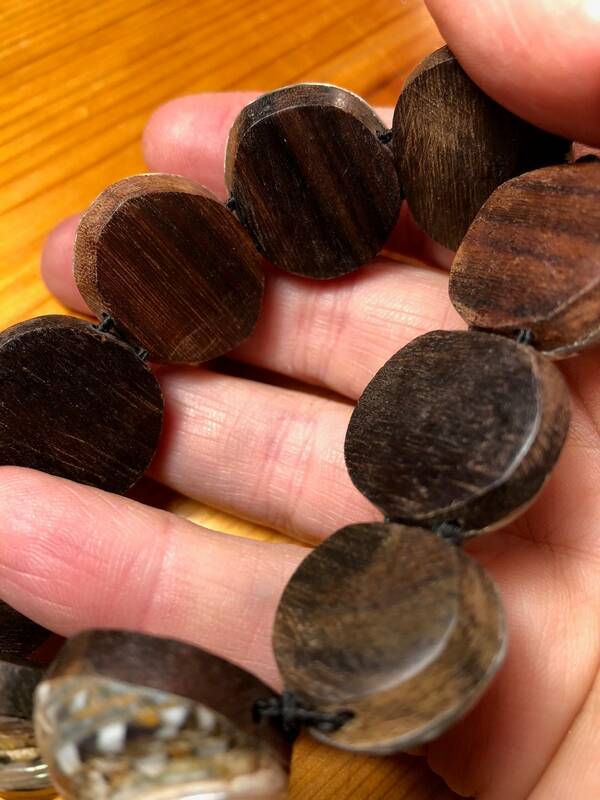 Will fit a range of sizes. 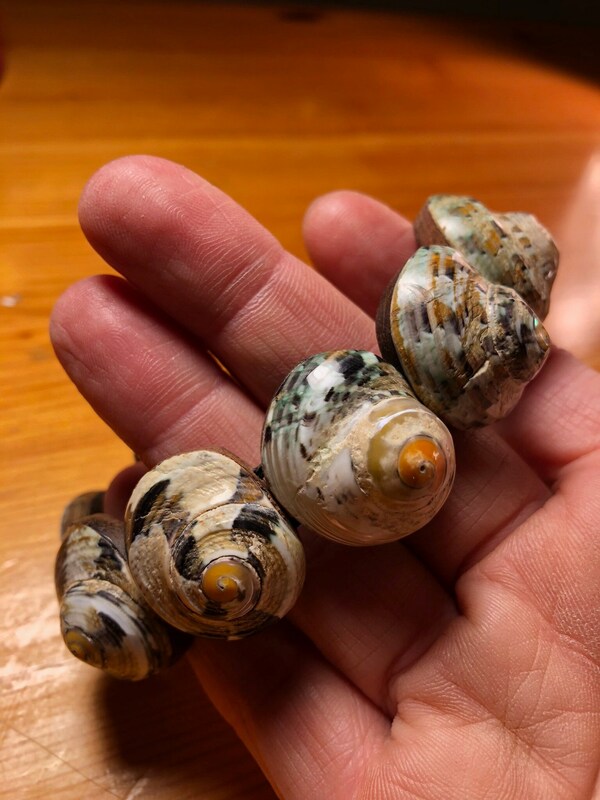 Shells are approximately 1" across.